WIKA is a global manufacturer of instruments for temperature measurement, providing a wide range of electrical and mechanical temperature measurement solutions to meet your application requirements. In addition to standard products, WIKA offers engineering expertise to design and manufacture customer-specific solutions. Our certified measuring instruments meet the highest standards of quality and safety, have worldwide approvals, and comply with most international directives. 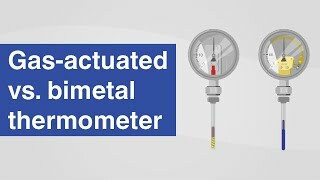 The following temperature measuring instruments are frequently used for industrial applications, including those in the heating, ventilation and air-conditioning industry; machine building; plant, vessel, pipeline and apparatus construction; and the chemical and petrochemical industries. WIKA's complete range of measuring instruments for electrical temperature measurement include: thermocouples, resistance thermometers, temperature switches and temperature transmitters. Sensors are the core of all measuring instruments for electronic temperature measurement. Temperature sensors convert the measured temperature into an electrical signal. Temperature switches, along with the temperature measurement, give control and analog output signals to the process. 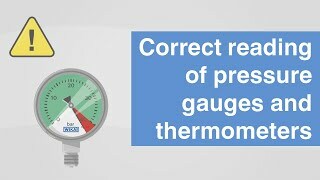 Expansion thermometers contain a liquid-filled measuring system, which also generates a pressure change when the temperature changes. This change is then displayed via an integrated movement.